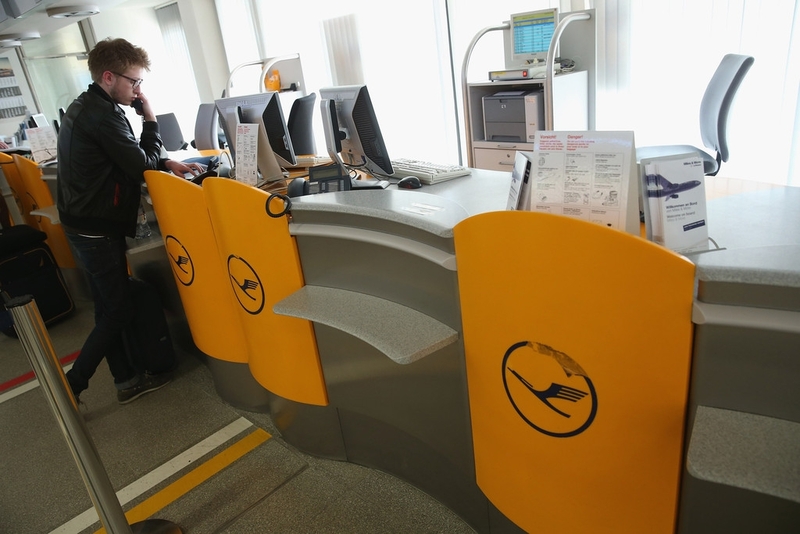 A traveller who had planned to fly to Romania on a Lufthansa flight speaks on a courtesy phone at an empty Lufthansa ticket counter after his flight was cancelled at Tegel Airport during a nationwide strike by Lufthansa ground, service and maintenance personnel on April 22, 2013 in Berlin, Germany. Workers are demanding pay raises and job guarantees and today's strike has forced Lufthansa to cancel approximately 1700 flights. - high-definition photo for free download.